Offering you a complete choice of products which include vitamin b complex, stabilized vitamin c supplement, water soluble powder, amino acid powder for oral administration, multistrain water soluble probiotic powder and electrolytes with vitamin-c powder. - For normal development of feathers. Poultry : 1 gm/2-4 lt. of drinking water for 5-7 days. Small Animals : 5 gm/animal/day for 5-7 days. 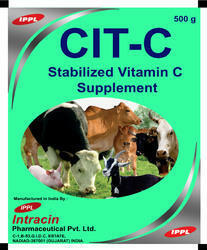 CIT-C meets the need of Vitamin C in illness,supporting the immune system, strengthening the body resistance in cases of illness and stress,as supporter in growth and development period,strengthening of egg shell,increasing the bioavailability of calcium and other many minerals,in Horses myoglobinuria, epitaxy,elimination of muscular fatigue,supporting the insemination in stallion and reproductivity in mares. 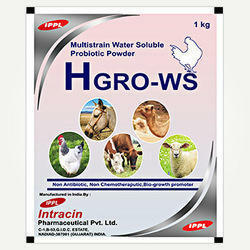 Poultry : 500 gm for 1000 lt. of drinking water. Treatment of disturbances and disorders of digestive system of ruminats, indigestion in the course of diseases connected with fever,traumatic indigestions(alter surgical instrumental operations),feed intoxications in connection with diarrhoea,primary and secondary acetonemia in Cattle, disturbances of carbohydrate metabolism.Used also as general appetizer and tonic. The recommended dose is suspended in 1-2 lt. of drinking water and administered by bottle or stomach tube. GRO-WS is a well balanced combination of essential amino acids for Calves, Cattle,Goats,Poultry,Sheep and Swine. 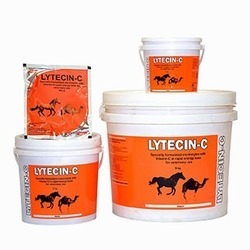 GRO-WS is used for Prevention or treatment of amino acid deficiencies in farm animals.Prevention or treatment of stress caused for instance by vaccination diseases transport high humidity, high temperatures or extreme. Chicks: 1 g/ lt. of drinking water or 1g/ 50-100 birds for 5-7 days Adult bird: 1 g/ 4 lt. of drinking water or 10g/ 200 birds for 5 days In feed: 50-100 g/ ton of feed. - In summer to avoid dehydration and heat stroke. - As an aid in diarrhoea and dysentery. - To maintain correct osmotic pressure and precise acid base equilibrium. Dogs : 5-10 gm per day. 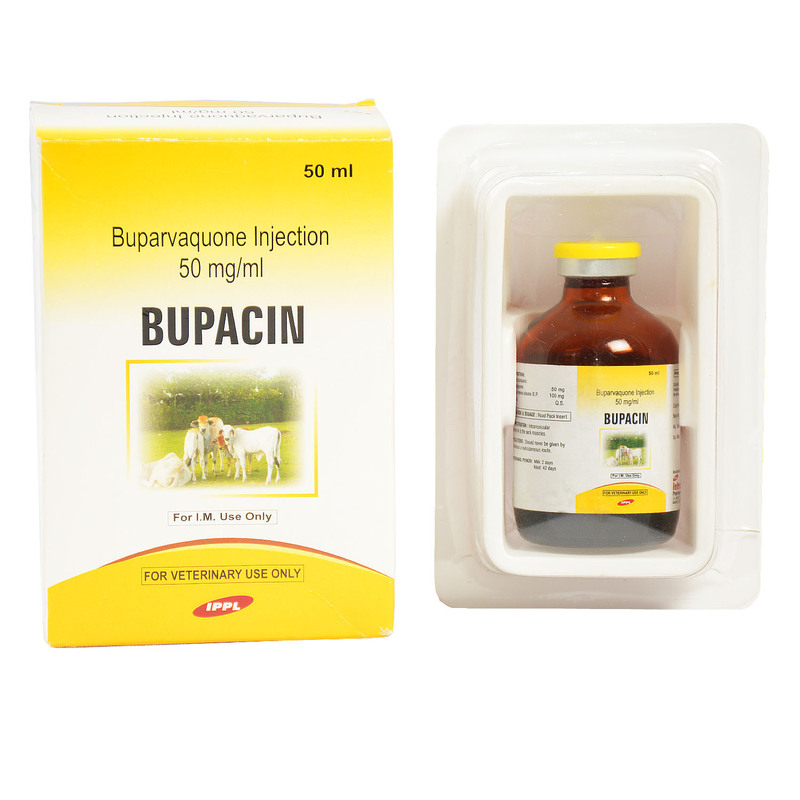 Vitamin E, α-tocopherol acetate 200 mg.
Vitamin E deficiencies (like encephalomalacia, muscular dystrophy, exudative diathesis, decreased hatchability in eggs, infertility problems) in Calves, Cattle, Goats, Poultry, Sheep and Swine. Prevention of iron intoxication after administration of iron to piglets. Poultry and Swine : 1 kg per 8000 lt. of drinking water for 3 - 5 days. Chicks ( < 21 days) : 1 kg per 2000 - 4000 lt. of drinking water for 3 - 5 days. Calves, Goats and Sheep : 1 g per 80 kg body weight for 3 - 5 days. 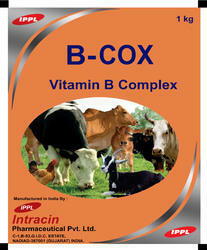 Cattle : 1 g per 160 kg body weight for 3 - 5 days. 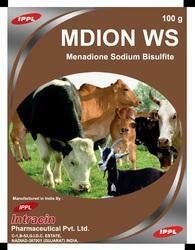 Menadione sodium bisulfite 200 mg.
MDION WS is indicated in the treatment and prevention of haemorrhages associated with vitamin K deficiency or intestinal parasitic infections such as coccidiosis, and as an antagonist for anticoagulant poisoning (e.g. due to rodenticide toxicity, sweet clover poisoning or treatment with sulfaquinoxaline) in Calves, Cattle, Goats, Poultry, Sheep and Swine. 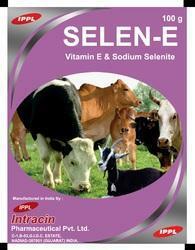 Calves, Cattle, Goats and Sheep : 1 g per 50 -100 kg body weight for 3 - 21 days. Poultry : 1 kg per 12000 lt. of drinking water for 3 - 21 days. 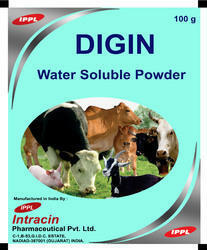 Swine : 1 kg per 5000 - 10000 lt. of drinking water for 3 - 21 days. Hypersensitivity to Menadione sodium bisulfite. Administration to Horses (especially intravenously) or to animals with seriously impaired renal and/ or hepatic functions.